Serums & ActiveCellCeuticals are a light-weight, fast absorbing formulation that are high in active ingredients to provide corrective results on the skin. Serums & ActiveCellCeuticals are usually used alongside the use of a moisturiser and topically applied previous to other facial products that you may use within your daily routine. What are some of the benefits you can expect from using Serums & ActiveCellCeuticals? 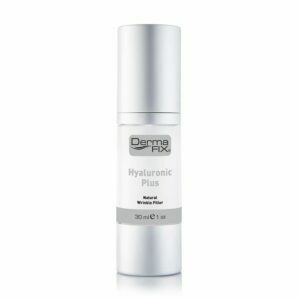 The DermaFix Serums & ActiveCellCeuticals are Liposome encapsulated allowing for the active ingredients within your serum of choice to get better penetration and therefore offering you more effective results in a shorter period of time. 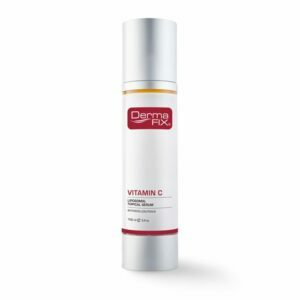 Within the DermaFix Range, we make use of the active ingredient, Vitamin C. On a molecular level, Vitamin C is capable of creating heightened electron exchanges, and in so doing, raises the level of vitality in the cells and tissues. A common form of Vitamin C is Ascorbic acid, a powerful antioxidant raising electrical potentials within the cells, thereby increasing cellular exchange and stimulating cell metabolism. 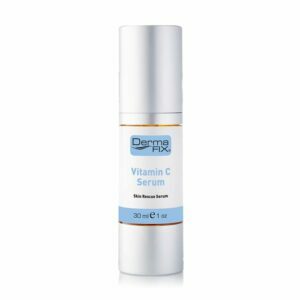 Vitamin C is an important factor in the healing process, as it stimulates the skin’s fibroblast cells, in order to produce new collagen. All DermaFix Serums & ActiveCellCeuticals should be topically applied before using other facial products, in the prevention of premature ageing of the skin. ActiveCellCeuticals can be incorporated into your routine in addition to a serum, alternatively, they can replace a serum in your routine. 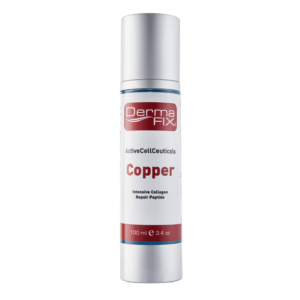 It is recommended that the ActiveCellCeutical product range is used alongside the DermaFix MT Microneedling Home Roller to further enhance product penetration and therefore improve results from your ActiveCellCeutical of choice. These formulations are liposome encapsulated giving them the ability to penetrate into the deeper layers of the skin, working to improve your skin care concern from the inside out. ActiveCellCeuticals carry a higher concentration of active ingredients within the product and are packaged in ‘value-for-money’ sizing. The benefits of the ActiveCellCeutical range are endless. DO YOU KNOW WHAT TO LOOK FOR IN A SERUM & ACTIVECELLCEUTICAL PRODUCT? The structure of the skin consists of an oil barrier and a water barrier. In order for the active ingredients within serums to penetrate through both of these barriers, they need to be encapsulated by both oil and water, this term is called liposome encapsulation. This is what you should consider when purchasing your serum of choice as it should be providing you with intensive corrective benefits by being able to improve your skincare concern from the inside out. Serums are applied to the skin before the use of a moisturiser as they are formulated to have better penetration into the deeper layers of the skin by making use of liposome encapsulation. A Serum is recommended according to skincare concern whether it be hyperpigmentation, environmental stress or barrier reparative benefits. Serums are the more active products within your facial routine as they have the ability to penetrate into the deeper layers of the skin and are occluded by the application of a moisturiser. Due to majority of serum products having a higher amount of active ingredients within the product, they do tend to be the most expensive addition to your skin care routine however, the benefits of a serum are endless making the costs worth your while. ActiveCellCeuticals are applied to the skin before the use of a moisturiser as they are formulated to have better penetration into the deeper layers of the skin by making use of liposome encapsulation. ActiveCellCeuticals are recommended according to skincare concern whether it be hyperpigmentation, ageing or fine lines and wrinkles.